Despite rumors suggesting that Microsoft would release a beta version of Windows 8 at CES in January, the company has now laid those claims to rest by announcing that it will give people a chance to test the software out in February. Said to be the biggest overhaul of Windows in quite some time, Windows 8 will offer both traditional desktop options as well as the ability to be used on new Tablet PCs. Owners of future Windows 8 tablets will see an interface that borrows heavily from that used in Windows Phone 7 smartphones, with large, colored tiles very much the order of the day. The benefit here though, is there will always be the power of a real Windows machine underneath. 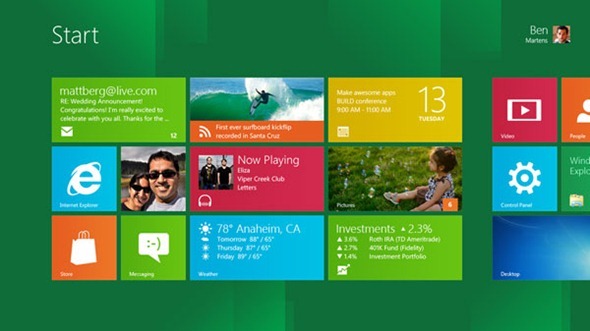 Microsoft’s Windows 8 Store will also be debuted alongside the beta version of the new release of Windows, giving testers the chance to download free apps only at first, with other apps being made available by developers specially invited by Microsoft. Windows 8 has seen considerable interest, even amongst many who were disillusioned by Microsoft’s handling of the operating system. While little concrete information is really known about Windows 8, people who have seen it in action believe Microsoft may finally have an operating system that can give Apple’s big cats a run for their money. The Windows brand is still trying to recover after the debacle of Windows Vista, and while Windows 7 has gone some way to restoring faith in the Redmond outfit, Microsoft knows it still has some way to go before some who jumped ship in the past will consider returning to a Windows-based system. We’ll be looking forward to getting our hands on the beta of Windows 8, though we unfortunately do not have a tablet that we can kick the tires on, and we can’t help but think that tablets are where Windows 8 will live or die. Let’s not forget Microsoft was pushing Tablet PCs long before the iPad was conceived, and if they can get things right this time around, we may finally have a proper competitor for Apple and the iPad. Fingers crossed – remember folks, competition is good news for everybody!